Are you planning to work with a recruitment agency? Maybe you’ve already started looking around the market in search of the best recruitment service provider, but you do not know whom to choose? We will help you make the best decision. Your company is dynamically growing and you need many new employees. Someone from your team has quit the job and you have to find someone in their place. The situation of one of the employees forced them to take a long-term leave and you need to find a replacement. These are just a few reasons why it’s worth considering working with a recruitment agency. You probably have a lot of questions and doubts. We get it. Finding an agency is not difficult but how to find the perfect one? Which one of them will provide the best services at the highest level? Here’s what to look for right from the start of your search. Thanks to our tips you can be sure that your final choice will be the right one. A recruitment agency that’s been on the market for many years certainly has extensive experience in running recruitment projects. It is pretty much guaranteed that during this time the company faced many challenges. Crises on the labor market, the so-called market of employer or employee – a company that’s been operating for a long time can certainly deal with them. Can the same be said about a young startup that’s been founded only a few years ago? Not necessarily. Find out who is the CEO of the agency. Check his previous experience in the industry and where he gained the knowledge he passed on to the consultants. Look for the information on the agency’s employees on the internet – mainly how long they have been working there and how many contacts they have in their LinkedIn network (this will allow you to estimate how many people they can reach). You can also check their career path (e.g., previous employment or internal promotions) and their skills. Consultants with many years of experience in the industry will guarantee the high quality of cooperation. However, high rotation in a company, lack of experienced consultants will most probably result in a low quality of services. Your first “meeting” with the agency will be visiting their website. You will find there information that will be extremely useful to you: what services the agency offers, whether it is in partnerships with other organizations and whether it provides a warranty on its candidates. There should be links to the agency’s social media (e.g., Facebook or Youtube). 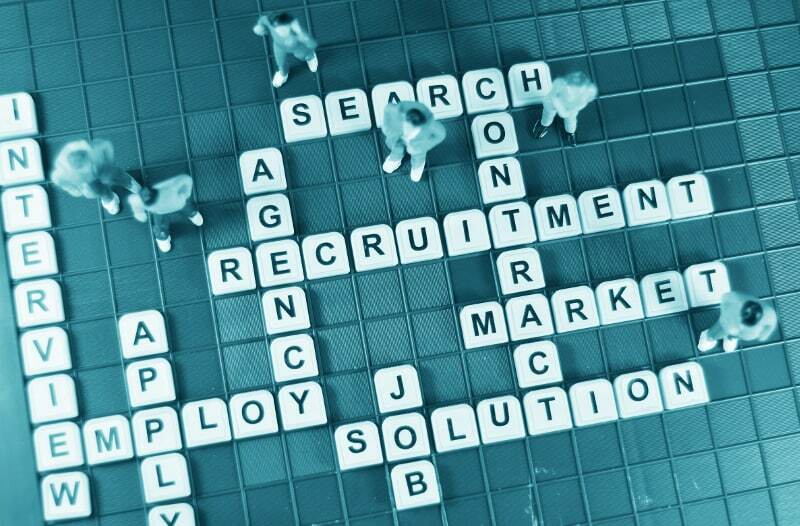 Recruitment is mainly an online industry, so a good company should try to be active on the Internet. It is worth checking whether the site is user-friendly and whether the information and layout are clear. You can deduce how the agency will represent you from how it presents itself. Also take notice of how fast the page loads – if you have to wait more than several seconds, the potential candidate will have to wait at least the same amount of time to upload their CV. Even such seemingly small detail can have an impact on success in the current situation on the labor market. Adverts are one of the oldest tools for recruitment of employees. However, nowadays simply copying the job description sent by the hiring manager and posting it on a job board is not enough to encourage candidates to apply. Check how the agency promotes the jobs that they are currently working on. Good agencies should know the difference between a job description and a job advertisement. They know which one of them is a legal document and which is used for marketing purposes. An attractive job ad should stand out from others, be creative, include some copywriting techniques and practices and be optimized for search engines (SEO). A trustworthy agency should have at least a few recommendations from past clients on their website, as well as some credentials of previous successes (e.g., case studies). Do not be discouraged if you do not find a list of clients – very often the agencies are obliged not to disclose such information and it shouldn’t alarm you. You can also look at the LinkedIn profiles of the consultants and check the references given to them by people they previously worked with. Contact the agency and ask about their way of working on projects and how they search for and contact candidates. The best agencies offer an individual approach to each client and tailor their services accordingly. In order to complete the project, a good recruiter must recognize your needs. To do that the agency will need a lot of information from you, so be prepared that they will contact you often. A recruiter may ask for the details of the project, the profile of the ideal candidate and the position’s place in the structure of your organization. To provide the candidates with as much relevant information as possible and to figure out how to get them interested, the person in charge of the project will want to get to know your company from the point of view of someone who is already working there. If the only thing the recruiter does is asking you for the job description and they think that they have all the information that is needed, there is a very big chance that you are not dealing with a good service provider and chances of success are low. Therefore, when talking with a recruiter, pay attention to the questions that they ask and check if they understand your organization. Check if the recruitment agency has access to a good ATS (Applicant Tracking System). It is another essential recruitment tool for creating databases and tracking applications. A good ATS should ensure compliance with the provisions of the GDPR and a high level of protection of personal data. Working with an agency that does not comply with the rules of the GDPR may cause many legal problems in the future. The agency should clearly define what is their purpose of data processing and what needs to be done to remove it from their database. It is more of an interesting addition rather than the most important factor. However, if someone considers themselves to be an expert in the field, they should be able to talk or write about it. The best place to do so is a blog with articles written about the recruitment itself, as well as the industries of the agency’s clients. Depending on the content, such publications have several benefits, including promoting the client and their industry and informing about the latest trends. They can also inspire candidates to apply and what better way to make it easy for them than linking the application form in the article? We hope that these tips will help you in making a satisfying choice and that it will result in a fruitful and long-term partnership.